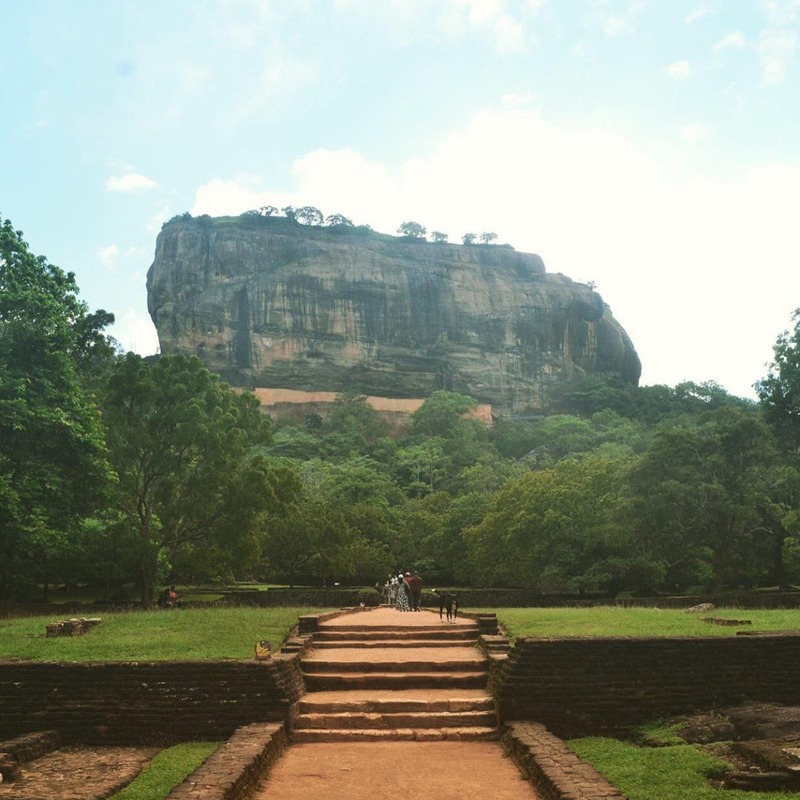 Sri Lanka, a teardrop shaped island off the southern coast of India, a country full of beauty, diversity and most importantly for this travel blog…spices! Sri Lanka has spices ingrained into its history, in ancient times Sri Lanka had relationships with Arabs, Greeks and Romans through its spice trade and in more recent history the English, Dutch and Portuguese were attracted to the country partly because of the spice trade. A number of spices are cultivated in Sri Lanka these include, cinnamon, pepper, cloves, turmeric, vanilla, nutmeg, mace, lemongrass, curry leaves and cardamon. As we know all of these particular spices are used in cooking however they’re also commonly used as medicine in Sri Lanka! This is known as Ayurvedic medicine which is widespread across Sri Lanka and treats a variety of ailments. Visiting a spice garden I was shown a variety of different natural remedies and plants that were used for ayurvedic methods, I was even a guinea pig for a natural hair removal cream that consisted of black pepper. It was very effective and I had a patch of hair missing from my leg for the rest of the holiday! On our first morning in Sri Lanka we were treated to a traditional Sri Lankan breakfast, made by our hosts mother. 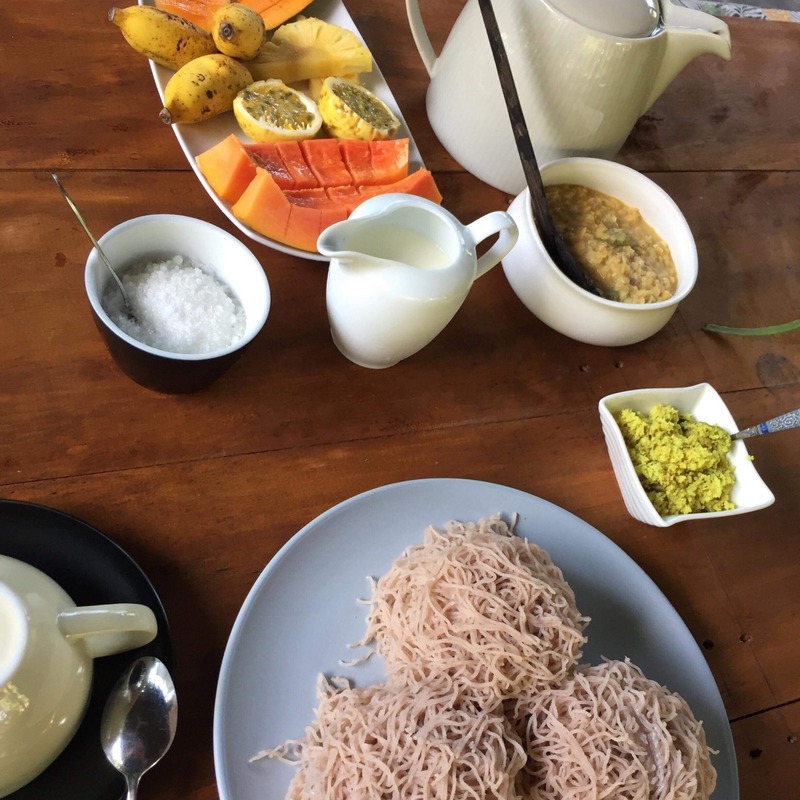 The breakfast was huge, we had a selection of string hoppers, dhal, coconut roti’s and a spread of fruit including the smallest and sweetest bananas and rose apple which I had never tried before! String hoppers are made with rice flour and have the texture of noodles and a similar taste to rice, these particular ones were made with coconut milk, which gave them a slightly sweeter taste, they went hand in hand with the dhal. 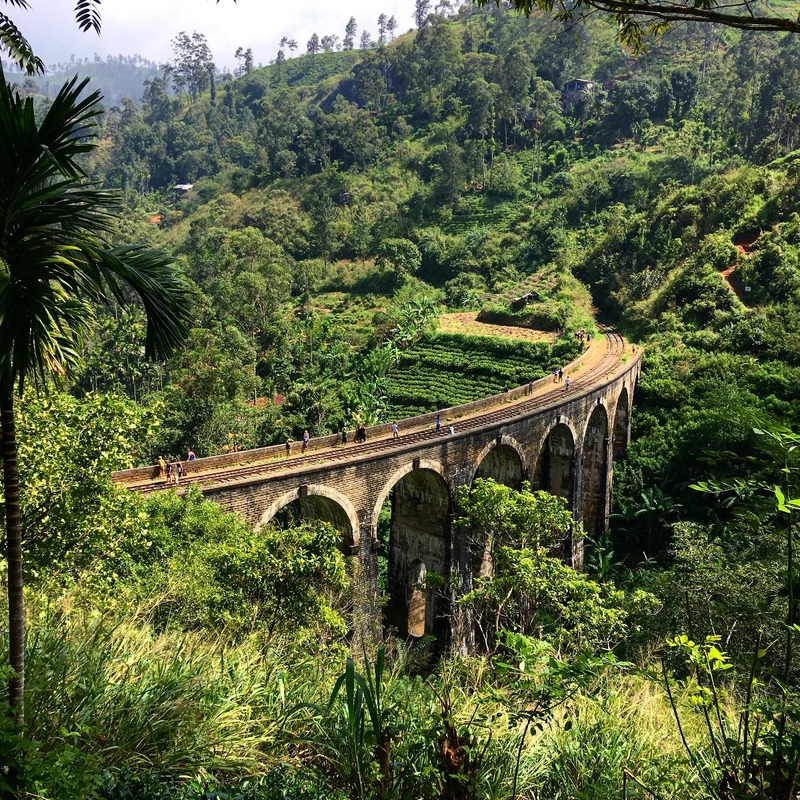 Traveling through Sri Lanka is an assault on the senses, the colours, the constant beeping and the smells, consisting of incense, curry and sewage! The vibrancy of the country really comes across in the food (minus the sewage smell), there are a variety of curries to try, some of my favorites included breadfruit, banana, mango and snakes beans and of course they all contain coconut milk, something common among most Sri Lankan curries and dhal’s. 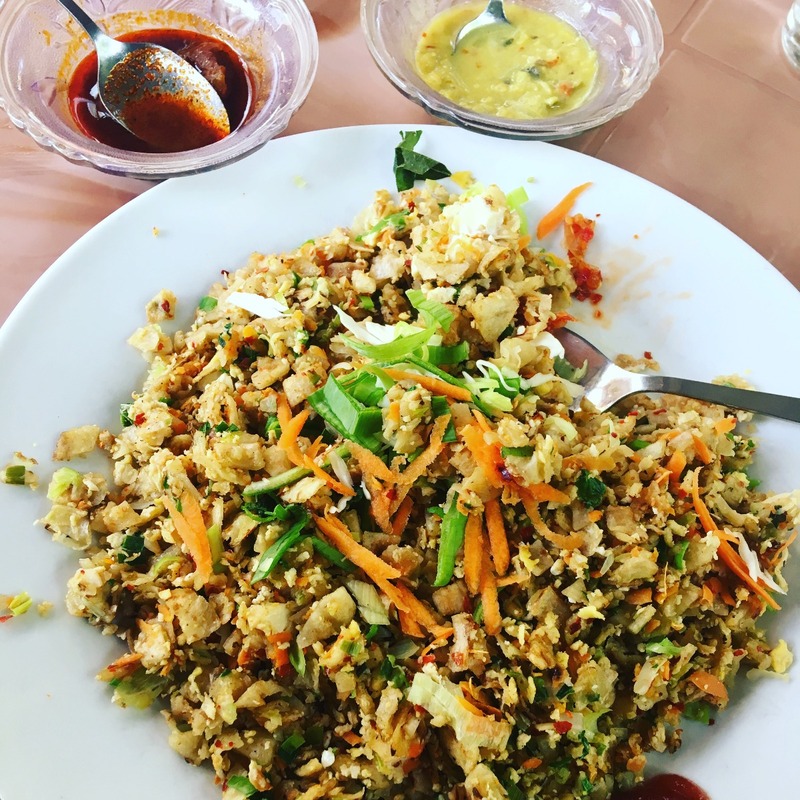 My favorite dish in Sri Lanka had to be the kottu roti, a traditional Sri Lankan dish where an iron sheet is heated and roti’s filled with egg, vegetables, chicken and many even cheese are chopped and mixed using two blunt blades, the clashing of the metal is a very distinctive sound which can be heard everywhere in Sri Lanka! 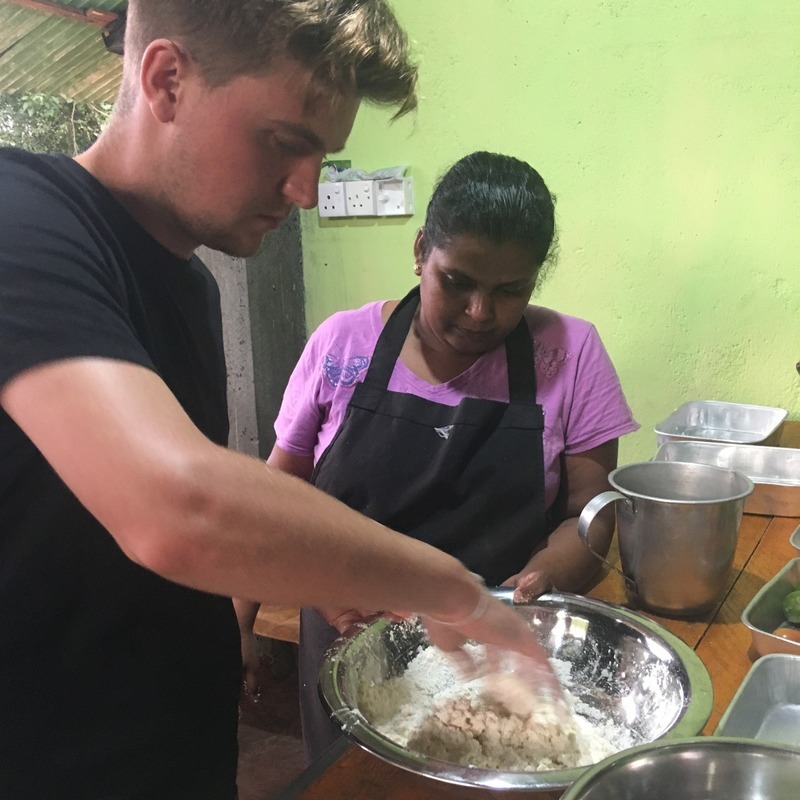 After trying all the different dishes traveling around Sri Lanka I decided it would be a good idea to sign up to a cooking course, so I could recreate some dishes at home and share some traditional recipes with The Spicery. 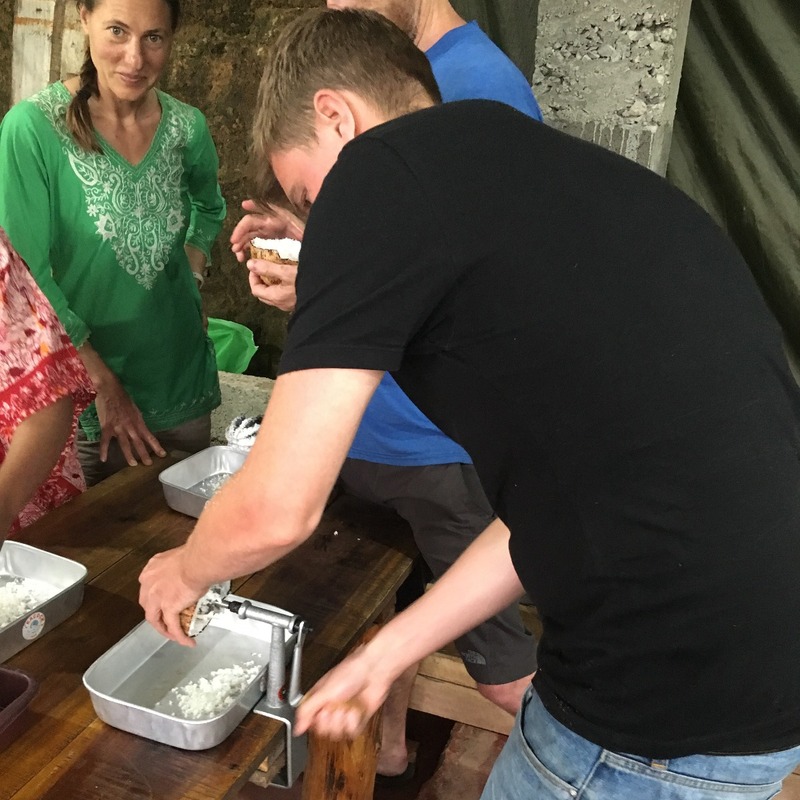 I chose a course run by a local woman from the back of her house and I was not disappointed, I made 6 curries, 1 dhal, coconut sambal and even made the coconut milk and cream from scratch, all of which I could eat after as well! The coconut sambal was a highlight for me, using the fresh coconut flesh which I had spent 5 minutes tirelessly scraping from the coconut using a vice-like contraption and then using my hands to squeeze the mixture of of coconut flesh, chillies, onion, tomato and various spices together, it was great fun and I was assured this was how to locals make it! My last stop on my journey in Sri Lanka was Kandy the ancient capital city which is also home to The Temple of the tooth which contains Buddha’s Tooth. After some research I managed to find a local market in Kandy which sold everything, so I set off to haggle and get ripped off. Walking through the market I was beckoned to come and look at everyones stalls, all of which had the lowest prices and a special discount just for me. After walking through meat and souvenir stalls I stumbled onto the spice, tea and ayurvedic medicine stalls, there was an array of spices hanging from the front of the stall, all looking fresh and colourful the vanilla pods in particular were large and oily and smelt beautiful. After haggling for a while I decided to buy some Ayurvedic oil, composed of cinnamon and clove oil which is meant for aches and pains, which after using I think really helps!